There is no doubt about it. We are living in strange times. Decorum, diplomacy, compassion and common sense seem to be a thing of the past. Dialogue has been replaced by diatribe and collaboration has taken a back seat to obstruction. Prejudice and discrimination are trickling back into vogue even though it is self-evident that neither does us any good and life is too damn short to waste even a minute of it mouthing insults and espousing hatred and violence. All the more reason why we need music that reminds us of our humanity with simple, poignant lyrics, air drum-inducing rhythms, and memorable melodies punctuated by joyfully meaningless “fa-fa-fa-fa’s." 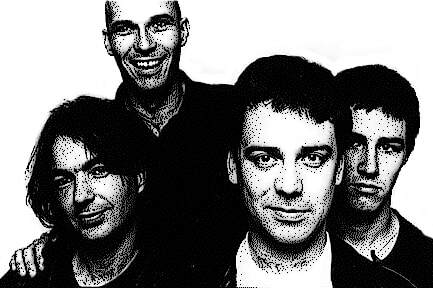 The Chills hail from Dunedin, New Zealand and that’s exactly the kind of music they play. The Happy Medium Song of the Day is “Look For the Good in Others, and They’ll See the Good in You” from the band’s 1987 debut, Brave Words. This song will take up exactly three minutes and twenty five seconds of your life. I promise it’s worth the listen. Have a nice weekend.